Bring the flavor of caramel apples into your kitchen! 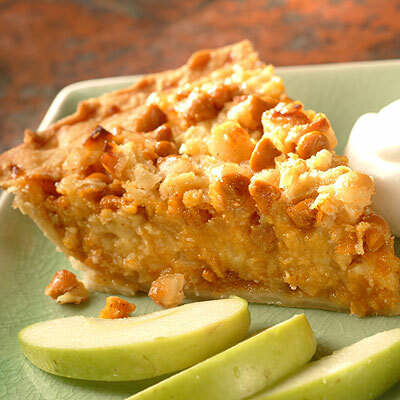 NESTLÉ® TOLL HOUSE® Butterscotch Morsels, crisp apples and macadamia nuts turn a simple pie crust into a caramel delight! Created by Louise Piper, Rolfe, IA. COMBINE eggs, corn syrup, apple, butter, vanilla extract, salt and cinnamon in large bowl; mix well. Stir in nuts and morsels. Pour into pie shell. BAKE for 45 to 50 minutes or until edge is set but center still moves slightly. Cool on wire rack for 2 hours. Serve immediately or cover and refrigerate.